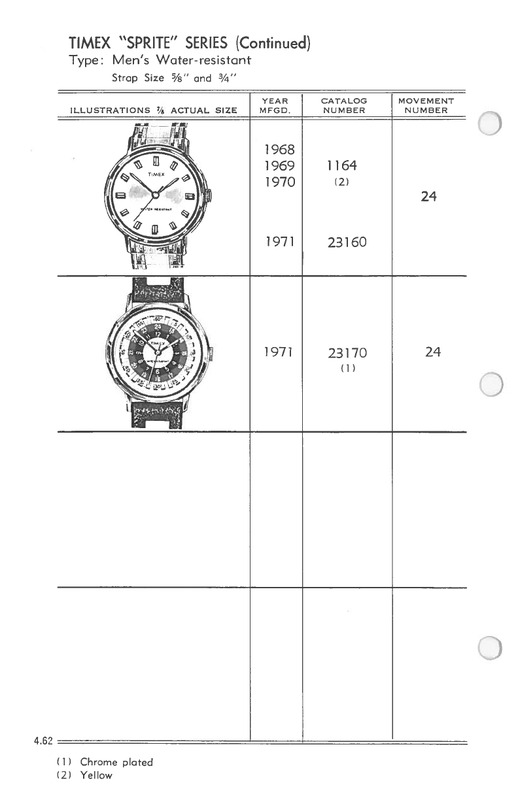 Three pages from the 1971 Timex catalog, showing the series of "Sprite" watches. Most were non-date watches with movement no. 24, with a few date watches as well. 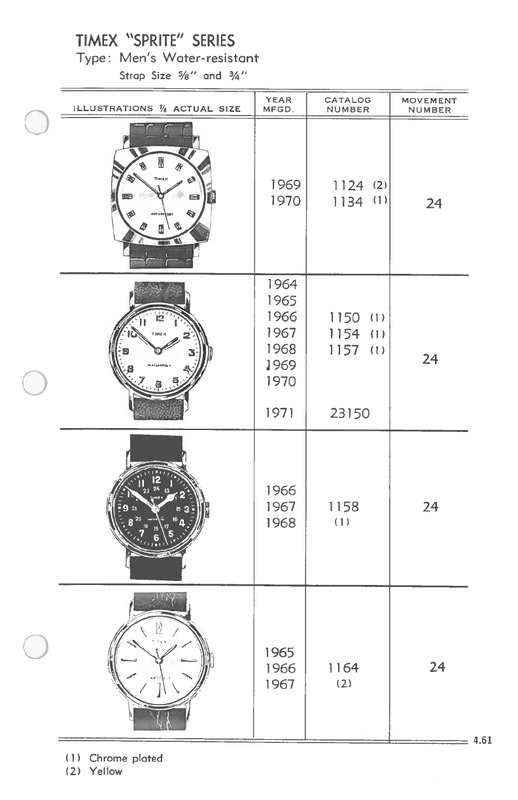 They were all relatively small watches; the Bullseye Sprite, on the second page, was 30.5 mm in diameter. The series appears to have began in 1964. A sprite is a "disembodied spirit," or like a ghost, according to the ancient origin of the word; more recent usage refers more to like a fairy or an elf.